From world #1 drawing guru Øistein Kristiansen, Learn To Draw gives ideas, step-by-step techniques and inspiration, to get kids from 4 and up drawing great cartoons. Stream episodes or download to watch on any device you like. 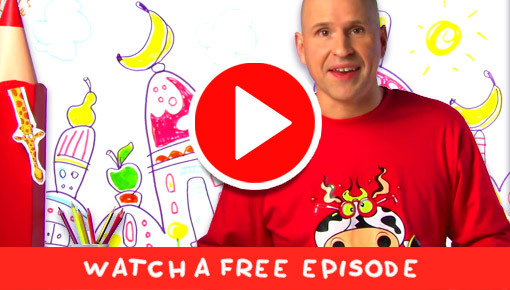 Try out single episodes, or simply buy the whole season – Learn To Draw, Learn To Draw ABC and the animated Learn To Draw Minis! Whether you like animals, fantastical creatures, sport, people, vehicles, even letters of the alphabet – there’s something for you! Learn To Draw Minis – 52 episodes! Learn To Draw – All 32 episodes! 32 episodes – 8 minutes each – of art and creativity in one great value pack! 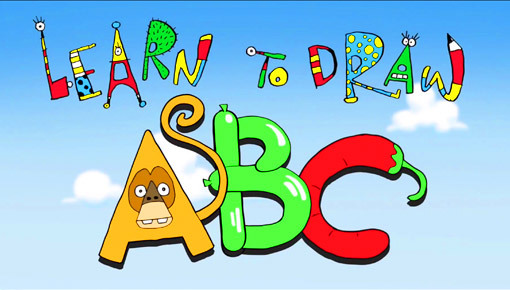 Learn To Draw ABC – All 32 episodes! From A-Z and more – learn to draw with the alphabet! Øistein shows how to draw a dog using boxes! Learn To Draw an ape from the letter A! 2 episodes! Learn to Draw a cow and a chicken!